Ever since a car accident killed her father and put Lisa and her mother into the hospital, Lisa can't think straight. She's plagued by nightmares and hallucinations that force her to relive the accident over and over again in vivid detail. When Lisa finds out that a neighbor is looking for a babysitter for her young son, she takes the job immediately, eager to keep busy and shake these disturbing images from her head. This book was Fear Street meet Goosebumps. 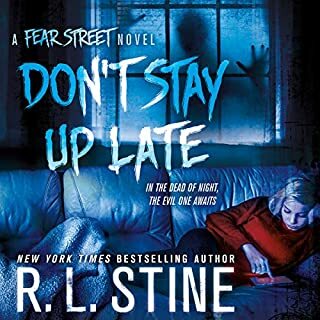 It started off good, then jumped to Goosebumps and I almost gave up on it and stop listening because I'm a Fear Street kid not a Goosebumps kid but I'm glad I listen all the way through. It actually turned out to be a pretty good read. I loved the very end. Also the narrater is one of my favorites so of course she did a wonderful job. I think it's worth a credit. Maddy, Christine and Amy are thrilled that their old college suite-mate has written a bestselling book, How to Have the Perfect Life - until they realize she used them as examples of how women let fear screw up their lives. The worst part is…it's sort of true. Together they make a pact: they each have one year to face down their fears - and maybe show Miss Perfect a thing or two! Book Three: Too Perfect. Defying the terrible sense of direction that's scared her away from traveling, Amy sets sail as a nanny on a Caribbean cruise and promptly gets lost when they stop at the island of St. Barts. This was a really good read. I loved it. I would recommend this series to everyone. From beginning to end it was one of my favorite books. The author is such a wonderful writer. I love how the stories blend so perfectly together. This is an amazing author. Well written books. This has been one of my best reads. Love this series. Maddy, Christine, and Amy, friends since college, are thrilled to learn their old suitemate's self-help book, How to Have a Perfect Life, has become a smashing bestseller - until they realize she used them as negative examples of how women let fear mess up their lives. The worst part is…it's sort of true. So, the three friends make a pact: They each have one year to face down their fears - and prove Miss Perfect wrong! This was a really wonderful story. I am so glad I purchased this book and I can't wait to read the next 2. I think it would make a really good movie. Nothing is as it seems anymore. Leery from the horrifying incident at the end of her first year at Guilder Boarding School, Rae Kerrigan is determined to learn more about her new tattoo. Her expectations are high, an easy senior year and a happy reunion with Devon, the boy she's not supposed to date. All hopes of happiness turn into shattered dreams the moment she steps back on campus. 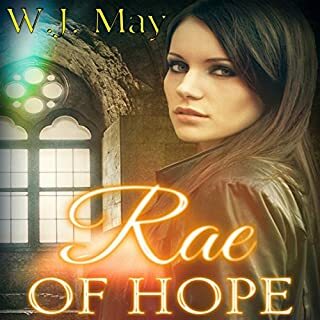 Lies and secrets are everywhere, and a betrayal cuts Rae deeply. What an amazing story. Can't wait for book 3. Would defiantly recommend this book to everyone. I hope it's a series of 15 books and possible turns into a movie one day. The way the writer speaks it makes me feel like i am there watching it. Also please keep the same narrater she is the best. Fifteen-year-old Rae Kerrigan never really knew her family's history. Her mother and father died when she was young and it is only when she accepts a scholarship to the prestigious Guilder Boarding School in England that a mysterious family secret is revealed. Will the sins of the father be the sins of the daughter? As Rae struggles with new friends, a new school and a star-struck forbidden love, she must also face the ultimate challenge: receive a tattoo on her 16th birthday with specific powers that may bind her to an unspeakable darkness. This book surprised me. I didn't realize I was going to love it. This is a very good book and the narrator was my all time favorite. I hope this series has more. Can't wait to read book 2.